Thursday, the Senate is passed a bill that would tighten the regulatory screws on banks and capital markets following the 2008-09 financial meltdown. Here are snapshots of the major reform proposals and players. The material comes from Associated Press and Reuters. A council of regulators chaired by the Secretary of the Treasury would be created to monitor big-picture risks in the financial system. The Financial Stability Oversight Council could identify firms that threaten stability and subject them to tighter oversight by the Federal Reserve. 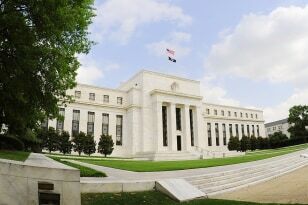 The Fed and the council could break up firms that have not responded to earlier measures and pose an urgent threat. The bill would set up an "orderly liquidation" process that the government could use in emergencies, instead of bankruptcy or bailouts, to dismantle firms on the verge of collapse. 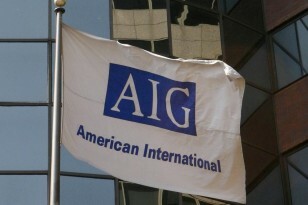 The goal is to end the idea that some firms are "too big to fail" and avoid a repeat of 2008, when the Bush administration bailed out AIG and other firms but not Lehman Bros. Its subsequent bankruptcy froze capital markets. Under the new rule, firms would have to have "funeral plans" that describe how they could be shut down quickly. The Federal Deposit Insurance Corp.'s costs for running liquidations would be covered in the short term by a Treasury credit line, then recouped by sales of the liquidated firms' assets. In case of shortfalls, costs could be further covered by claw-backs of any payments to creditors that exceeded liquidation value, and fees charged to other large firms. The FDIC could guarantee the debts of solvent insured banks to prevent bank runs. But this could only happen if the boards of the FDIC and the Fed decided financial stability was threatened, Treasury approved the terms and the president activated a rapid process for congressional approval. The U.S. Office of Thrift Supervision, a financial regulator that was widely criticized in the run-up to the credit crisis, would be closed and most of its duties shifted to the Comptroller of the Currency. 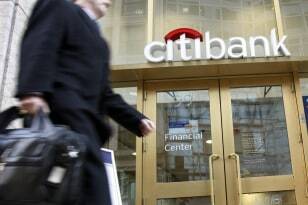 Banks would be barred from converting their charters to escape regulatory enforcement actions. The FDIC's deposit insurance coverage would be permanently raised to $250,000 per individual from $100,000. Private equity and hedge funds with assets of $150 million or more would have to register with the Securities and Exchange Commission, exposing them to more scrutiny. Venture capital funds would be exempted from full registration. Investment advisers would have to manage assets of $100 million or more to be federally regulated, an increase from the present $30 million level. The change would shift some of the oversight for small firms from the SEC to the states. A new federal office would be created to monitor, but not regulate, the insurance industry, which is now policed at the state level. The move would appease opponents of centralized regulation by keeping real power out of Washington's hands, while giving big insurers that want a single regulator a foothold they might be able to expand from in the future. Under a rule proposed by White House economic adviser Paul Volcker, the bill would bar proprietary trading unrelated to customers' needs at banks that enjoy government backing, with some of the details of implementation left up to regulators. Banks could continue to invest up to 3 percent of their Tier 1 capital in private equity and hedge funds, not to exceed 3 percent of any single fund's total ownership interest. 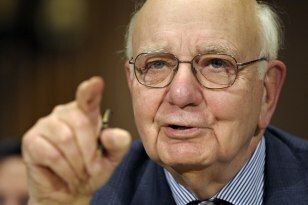 Private equity and hedge fund interests above the new caps would have to be divested over time, under the "Volcker Rule," named after former Fed chief and Obama adviser Paul Volcker. In addition, the largest banks' ability to expand would be limited by a new cap on their share of industry-wide liabilities. Non-bank financial firms supervised by the Fed would face limits on proprietary trading and fund investing as well. Bank holding companies within five years would have to stop counting trust-preferred securities and other hybrids as Tier 1 capital, a key measure of a bank's balance sheet strength. Firms with assets under $15 billion could count current holdings of hybrids as Tier 1 capital, but not any new ones. The bill would also require credit exposure from derivative transactions to be added to banks' lending limits. In addition, bank capital standards could not sink below those already on the books, and a 15-to-1 leverage standard could be imposed on firms that threaten financial stability. The bill would also make bank holding companies follow higher capital standards observed by bank subsidiaries. The bill would impose regulation for the first time on the $615 trillion over-the-counter derivatives market, including credit default swaps like those that dragged down AIG. Much OTC derivatives traffic would be rerouted through more accountable and transparent channels such as exchanges, electronic trading platforms and central clearinghouses. 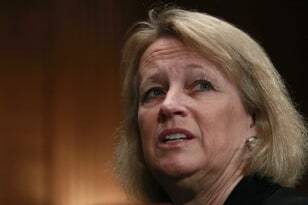 Banks would also have to spin off the riskiest of their swap-clearing desk operations, but could keep many swaps in-house, including derivatives to hedge their own risks, under rules drafted by Democratic Sen. Blanche Lincoln. Some end users of OTC derivatives would be exempted from central clearing requirements. Swap-dealers' ownership interests in clearinghouses would be limited. JPMorgan, Bank of America and other commercial banks could face structural changes from the bill, while it could boost business for clearing and trading venues such as the Chicago Mercantile Exchange, analysts said. Supervision of firms that settle payments among financial institutions would be broadened. The SEC, after a study, could order brokers who give investing advice to follow a higher standard of client care. A new SEC office to regulate credit rating agencies would be created. The SEC would have two years to study the widely criticized industry. Afterward, unless it comes up with a better idea, the agency would have to implement a plan to form a government panel to match agencies with debt issuers for initial ratings of new structured securities. Rating agencies would also be exposed to more legal risk. On debt securitization, lenders that make loans and then sell them off as securities would have to retain at least 5 percent of the loans' risk on their books, unless the loans meet certain standards for reducing risk. The SEC's enforcement powers would be beefed up and its funding levels raised. On executive pay, shareholders periodically could cast non-binding votes on top managers' compensation packages, while their role in electing directors would also be enhanced. Corporations would have to allow claw-backs of executive pay if it was based on inaccurate financial information. A new government watchdog would be established to regulate mortgages, credit cards and other consumer financial products. The Consumer Financial Protection Bureau would be a separate unit within the Fed and funded by the central bank. It would consolidate consumer programs now dispersed across several agencies. Its director would be nominated by the president and confirmed by the Senate. The CFPB would answer, in some instances, to the Financial Stability Oversight Council. Car dealers, who fought for and won an exemption, would be beyond the watchdog's reach. 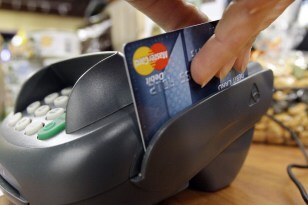 Fees charged on debit-card transactions would be limited. Programs would be supported to help people who don't have bank accounts open them and to improve access to small loans and to enhance financial literacy. The costs of the reform bill would be met by funds raised from shutting down the $700 billion Troubled Asset Relief Program, or TARP, and increasing the amounts of money that banks must pay to insure their deposits. An earlier funding plan that targeted a new tax at large Wall Street banks and financial firms was dropped after some Senate Republicans complained about it. 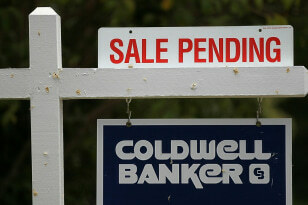 Mortgage lenders would have to assess borrowers' ability to repay before making a loan. Prepayment penalties against borrowers and bonuses to lenders known as "yield spread premiums" would be barred, with violators facing penalties. Other new protections would be set up for borrowers aimed at ending predatory and abusive mortgage lending practices. Key people who have shaped the financial reform bill. The president is determined to rein in the deregulated financial services sector and end a free-wheeling period blamed by some for the financial crisis behind the recession. Most Democrats in Congress, and a few Republicans, supported him on the issue. The soft-spoken chair of the Federal Reserve studied the Great Depression in graduate school, preparing him for today's crisis. Unlike his 1930s predecessors, Bernanke has turned on the money taps to flood the system with liquidity while slashing interest rates to spur the economy and fight deflation. 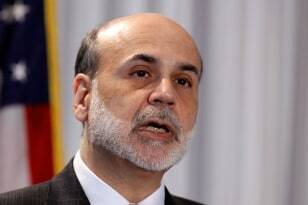 He has also warned that big deficits would inevitably drive up interest rates. Before taking the reins at the Fed in February 2006, he briefly headed President George W. Bush's Council of Economic Advisers. Before that, he had three years of service on the Fed board, adding practical policy experience to his earlier theoretical work as an academic at Princeton University. A sober-sided "gray man" in appearance, Bernanke is plain-spoken, in contrast to predecessor Alan Greenspan, whose obscure policy pronouncements often perplexed his listeners. The Treasury secretary, who worked with his one-time boss Lawrence Summers to explain the administration's financial regulation reform proposals in a Washington Post op-ed, has a reputation of being cool under pressure. And there's plenty of pressure. He also has the unenviable job of helping the president keep down expectations of a quick recovery. Geithner told a New York audience recently that the financial system was beginning to improve but that unemployment will likely rise more. As president of the New York Federal Reserve Bank, Geithner was closely involved in the rescue of Citigroup Inc., as well as the bailouts of Bear Stearns and American International Group. But his reputation was tarnished by his involvement in the decision to let investment bank Lehman Bros. fail, a step blamed by some for plunging an already fragile financial system into a downward spiral. 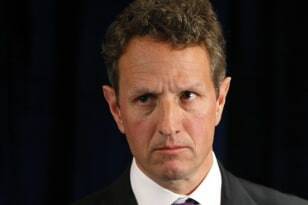 Previously, Geithner played a big part in shaping U.S. policy during the Asian and Russian economic crises in 1997-98, when he was in his late 30s. Geithner also worked at the International Monetary Fund, where he directed the Policy Development and Review Department from 2001-03. He studied Japanese and Chinese and has lived in East Africa, India, Thailand, China and Japan. Summers, who co-authored the Washington Post op-ed on regulation reform, might have been Obama's treasury secretary but for an unfortunate 2005 comment, when he was president of Harvard University, that women have less innate ability in science than men. Instead, he heads the National Economic Council, a job that did not require Senate confirmation. Summers, who was Treasury secretary from 1999 and 2001, has a reputation for brilliance as well as not suffering fools gladly. He advised the president during the election campaign, and some had thought he might return to his old job at Treasury. Like Geithner, Summers is a time-tested crisis manager who gained experience helping direct the U.S. response to the Asian financial crisis in the late 1990s as the No. 2 Treasury official under then-Secretary Robert Rubin. He earned a Ph.D. in economics from Harvard in 1982 and taught there and at the Massachusetts Institute of Technology. 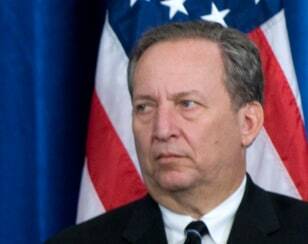 Summers was the World Bank's chief economist from 1991 to 1993. Schapiro came on board to lead the Securities and Exchange Commission facing the prospect of shuttering of it amid criticism that it mishandled the gravest financial crisis since the Great Depression. That idea has since been pushed aside, and Schapiro, a former SEC commissioner who has spent more than two decades advancing through the U.S. financial oversight bureaucracy, may oversee the SEC's expansion. She has called for more oversight of asset-backed securities, credit default swaps and other, less-regulated pools of capital. 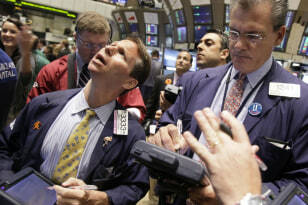 Geithner has said the administration would like to give the SEC power to give shareholders more say over executive pay. Schapiro has also chaired the futures-market regulating Commodity Futures Trading Commission. She most recently was chief executive of a brokerage watchdog group, the Financial Industry Regulatory Authority. Schapiro came to the job with plenty of critics. Some said she was not a reformer, beholden to too many in a broken system, while others said FINRA had a mediocre enforcement record. The fact that she worked at both the SEC and CFTC led some to speculate that Obama planned to merge the two regulatory agencies — an idea that has been kicked around for years. 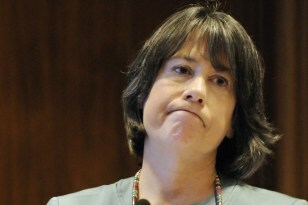 As financial regulators were skewered last year for going too easy on regulation, Sheila Bair emerged as an unflappable figure with a tough-love approach to the banks she supervises as head of the Federal Deposit Insurance Corp.
A self-described moderate Republican and former academic, she clashed with the Bush administration by pleading for more federal help for troubled homeowners in the mortgage crisis and openly criticizing the banking industry. In 2008, Forbes magazine ranked her as the second-most-powerful woman in the world — a distinction she thought was a mistake when she got a phone call about the citation. The Kansas native, whose term ends in 2011, was a university professor before coming to the FDIC. Previously she worked in the Treasury Department and for the New York Stock Exchange. 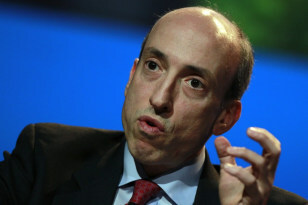 A former Treasury undersecretary, Commodity Futures Trading Commission Chairman Gary Gensler is expected to play a key role in efforts to regulate the over-the-counter derivatives market. Ironically, Gensler was part of the Treasury Department when it helped get a law enacted that exempted credit default swaps from tougher regulation. Gensler was a partner at Wall Street giant Goldman Sachs by age 30 and has been a critic of mutual funds. He advised former Maryland Democratic Sen. Paul Sarbanes on the post-Enron Sarbanes-Oxley corporate governance and auditing reforms. He was a senior adviser to New York Democratic Sen. Hillary Clinton's presidential campaign. 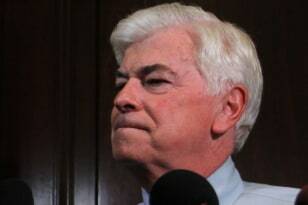 Christopher Dodd, the silver-tongued, white-haired chairman of the Senate Banking Committee, faces a tough re-election race for his Senate seat in Connecticut. After more than a quarter-century in the Senate, few know better than Dodd the inner workings of an institution known derisively by some as the place where bills go to die. Dodd knows the markets and banking well, coming from a state loaded with headquarters of hedge funds, insurance companies and other giants of the financial services industry. Dodd is known as a centrist who can steer a bill to the Senate floor. Whether he can overcome Republican opposition there to Democratic reforms will be crucial to efforts to tighten a financial oversight system in crisis. 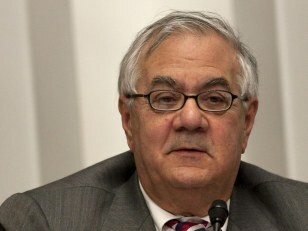 Rep. Barney Frank, chairman of the House Financial Services Committee, is an oddity among the well-dressed, conservative banking lobbyists who carefully parse their sentences as they come before his powerful committee. It's not just because of his rumpled clothes, his short temper or his sharp tongue. A lawyer and feared debater, Frank is an unabashed advocate for activist government and has more intellectual heft in his field than any other member of Congress. The Massachusetts Democrat is a power player on Capitol Hill. 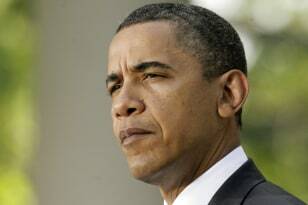 He often appears side-by-side with leaders to field nitty-gritty financial policy questions from the press. He has long argued the mortgage crisis, the credit crunch and the recession show the danger of taking a hands-off approach to the economy and Wall Street. With Obama and the Democrats in power, a more hands-on approach has arrived.